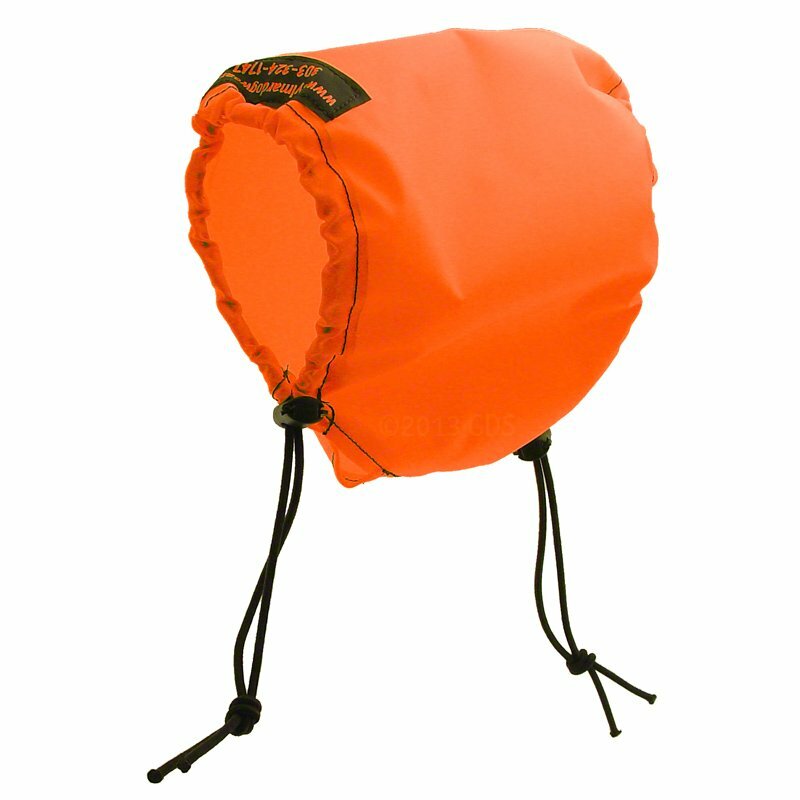 Sylmar Head Hood for Dogs -- Head and Ear Protection. $19.00. "The hood did exactly as claimed." The hood did exactly as claimed. Our only problem was the fact that our dog was really too big for the extra large to work effectively. I ordered it realizing it might be too small but wanted to try it. Fits over e-collar. Snug it tight and Velcro strap attaches to vest. Keep front a little loose, so the dog can shake her head to keep it clear of eyes. Worked great! "It seems to work very well. " It seems to work very well. Took a little time for Boomer to get used to it, but he's accepting it now. Love it! I couldn't use it for what I needed it for. My dog has a hematoma on the inside of her ear and needed something that protects the ear from her scratching. I'm sure the product is excellent for what it is made for. It's my fault I ordered the wrong thing. Awesome product! The only thing that finally healed my puppy's ear wound was this hood. It allowed it to heal without him flopping his ears around. Very good quality and great price! Thank you!!! "Makes my girl look like a little old lady, but no more ear cuts!" Makes my girl look like a little old lady, but no more ear cuts! The trick is to tie it to a vest using the Velcro strap at the back, make sure the bottom is over the e-collar, and cinch the straps just tight enough. Usually after about 10 minutes of my dog running around I have it adjusted well enough for the remainder of the hunt. "Stay in place for the most part." Stay in place for the most part. "Fabric is stiff and probably a bit noisy to the dog." Fabric is stiff and probably a bit noisy to the dog. It would be improved greatly if there was a tab to attach it to the dogs coat. If its cold enough for a hood then they will have a coat on. NOTE: Intended for use in controlled settings, not in the field. The Sylmar Head Hood covers your dog's ears and top of head with soft, waterproof, and dirt resistant nylon fabric. Useful for post ear and head surgery for protection against rubbing, scratching, and bleeding. Easily adjustable and removable, allowing wounds and bandaging to be inspected quickly with minimal effort. Has a positioning strap that anchors the hood to your dog's collar. Made in the USA. Small -- 5 3/4" dia. / 18" neck circum., 3 3/4" dia. / 12" head circum. Medium -- 6" dia. / 19" neck circum., 4 1/4" dia. / 13" head circum. Large: -- 6 1/2" dia. / 21" neck circum., 3 1/2" dia. / 11" head circum. X-Large: -- 7 1/2" dia. / 24" neck circum., 3 3/4" dia. / 12" head circum.